CONTINUOUS RIM BLADE MAXIMUM TILE SIZE 8"
WILL CUT UP TO 8" STRAIGHT OR DIAGONALLY. 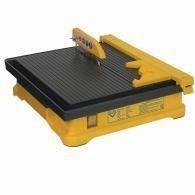 * Please call us with any questions about our tub saw 8 inch 1/2 h.p. mini rentals in South St. Paul MN metro area.